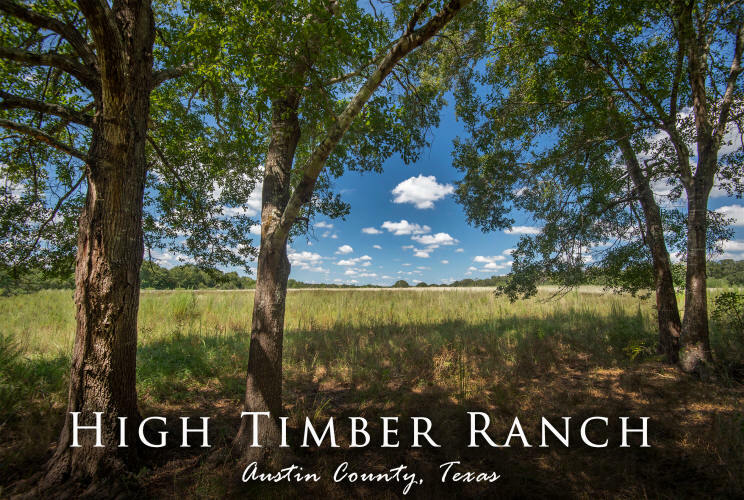 High Timber Ranch is 115 acres of beautiful wildflower meadows scattered with a mix of hardwoods that traverse into deep woods and vigorous brush cover. This excellent recreational property has an abundance of wildlife, is bordered by a wet weather creek, and features elevations ranging from approximately 260' to 210', offering multiple hilltop home sites. Sandy loam soil. Located off a paved road, just outside the picturesque town of Bellville, High Timber Ranch offers a rare opportunity to own sizable, diverse acreage with close proximity to Houston and Austin.